Warm weather makes almost everyone want to spend more time poolside! The fresh water and warm sun are the perfect combinations for a relaxing and enjoyable day with friends and family. A day poolside means bringing the essentials – food, drinks, and floats for relaxing in the water. If the floats are inflatable, that also means dragging along a pump and spending extra time setting them up. Say Goodbye To Inflatable Furniture! Anyone who has ever used inflatable pool accessories or furniture knows how long they can take! All the extra time you spend blowing up a float or raft is the valuable time you could be spending in the water instead! Another disadvantage of inflatable options is they need to be deflated after use and can be difficult to store without damaging them. For many people, this means even more wasted time after a day at the beach or pool. 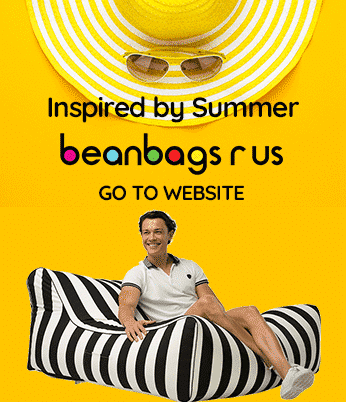 If you want to spend more time in the water and less time fussing with floats, try one of our pool bean bags! These incredible floats only need to be filled once; then they are always ready for use! Our bean bags are fun for the entire family because they are large enough that kids, pets, and even mum or dad can use them. Our largest bean bag, the Portsea Pool Float, is wildly popular because of its enormous size. Spanning an impressive 140 x 175 x 25 centimetres, it can hold most pets and even larger adults without tipping or sinking! The best way to use a bean bag like the Portsea in the water is to inspect it and make sure that it has enough filling. The beanbags need enough filler to float correctly, which is why this step is so important! Once everything is in order, all you need to do is place the Portsea in the water. It is crucial to put it in the water first, then get on as this will prevent any issues with sudden sinking or tipping over. It is usually most comfortable to get on the Portsea by bringing it near the edge of the pool and climbing on it from there. You can also use it while you are in the pool – pull it closer and climb on! If you are letting pets use any flotation device or toy, make sure that you carefully guide them onto it so that they do not become tangled or trapped. Pets should never be left unattended with them either. Take Care Of Your Furniture! Our water-friendly bean bags are easy to take care of thanks to their water-resistant fabric. This fabric can also withstand being out in the sun without fading, so yours will stay looking new for many summers to come! When you have finished in the water, pull your Portsea out and let the water drain out. Thanks to the mesh bottom, draining out the excess water takes almost no time at all! Once it’s drained, you can store it outside, in a garage, or inside. 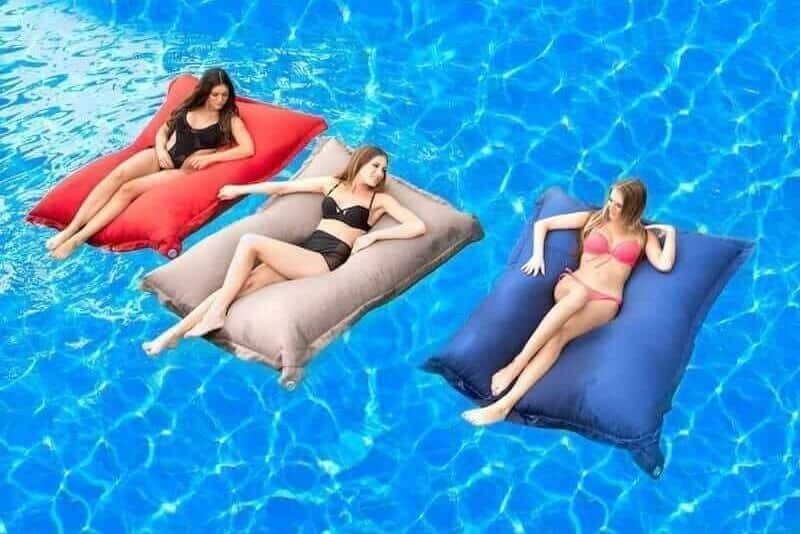 Because it’s just as comfortable on land as it is in water, you may find that you want to use your pool bean bags indoors as well!